Annoyingly, ad agency account reps and brand marketers are trying to explain environmental communications to their clients – something that sign professionals, frankly, do so much better. When it comes to the three pillars of visual communications – Legibility, Conspicuity, and Readability – sign design professionals have this down to a, well, science. Point of Purchase Signage: Under foot, at the Cash Zone, in the windows and on display. POPAI’s studies, undertaken from 1994 through this year, have consistently demonstrated significant sales increases for products supported by Retail Marketing across industries and geography. 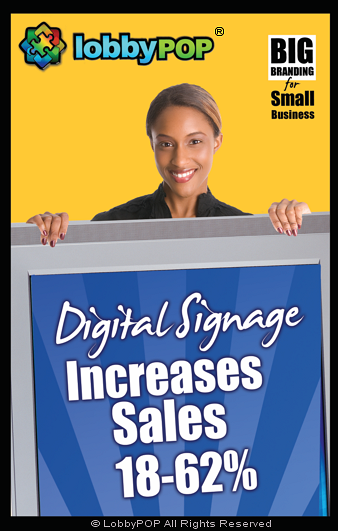 Video (Dynamic Digital) Signage: It is the only mass advertising medium that can convey the same overall strategic message in differing languages to varying audiences in the same village, city or region and be deployed almost instantly. Over one-third of Americans have viewed retail videos, and one in three has made an unplanned purchase because of it. Vehicle Wraps: One of the most cost-effective forms of advertising today. If that product and phone number draw 50,000 pairs of eyes, you can bet that the brand marketing is successful. Next post: Why you should call a sign professional to help execute Retail Marketing.